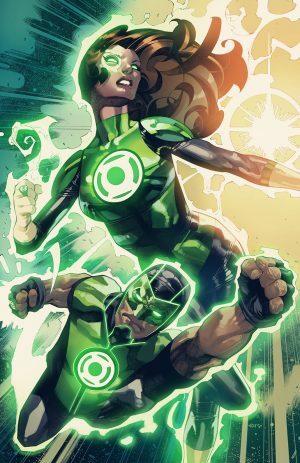 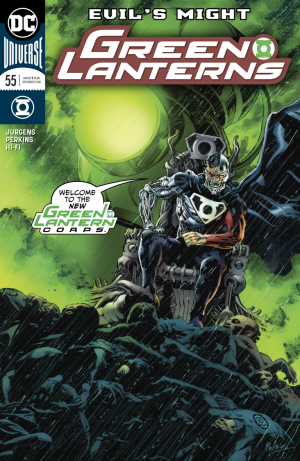 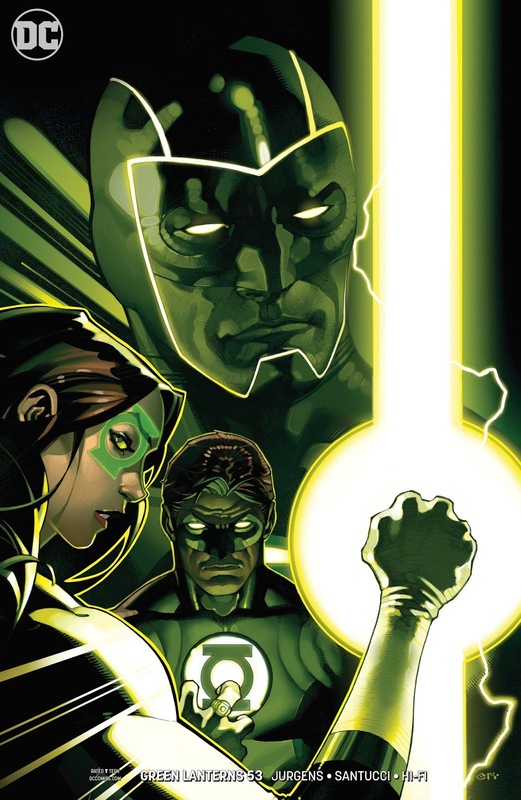 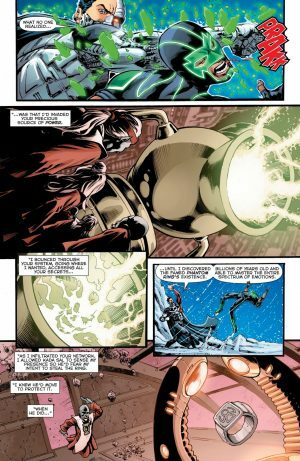 DC Comics Universe and Green Lanterns #53 and #54 Spoilers follows. 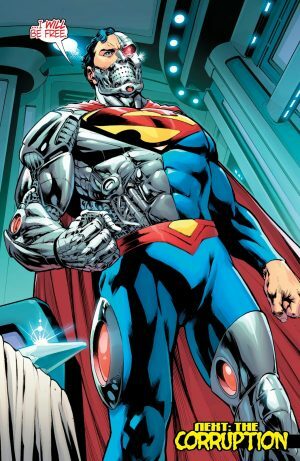 How Did Cyborg Superman Return? 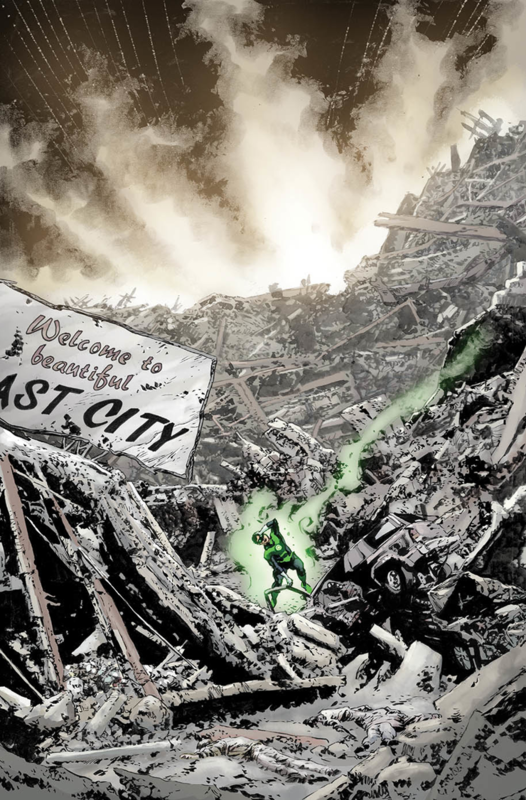 Why Does This Mean The End Of The Green Lantern Corps Quite Literally? 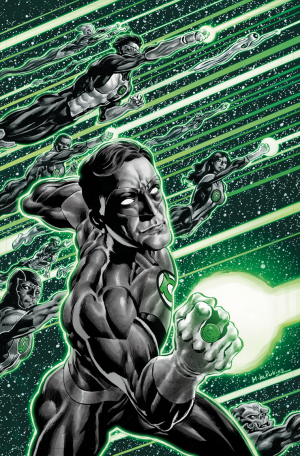 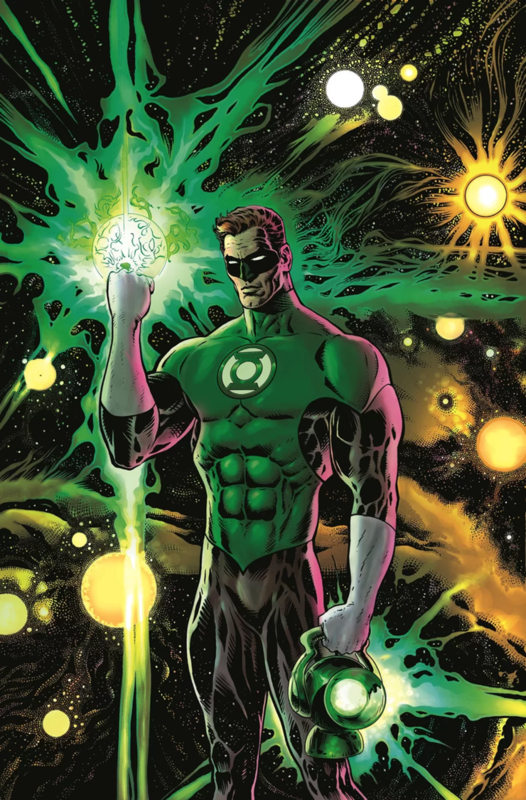 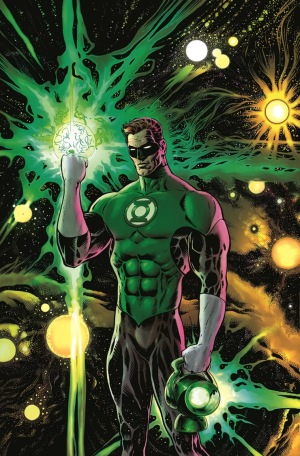 Is The Deck Being Cleared For Grant Morrison’s Hal Jordan Centric Green Lantern Reboot? 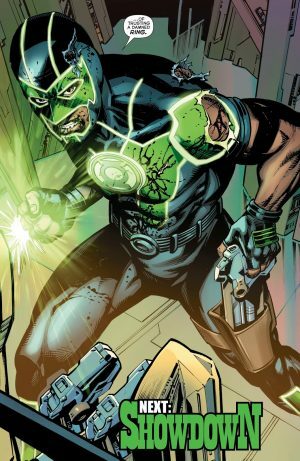 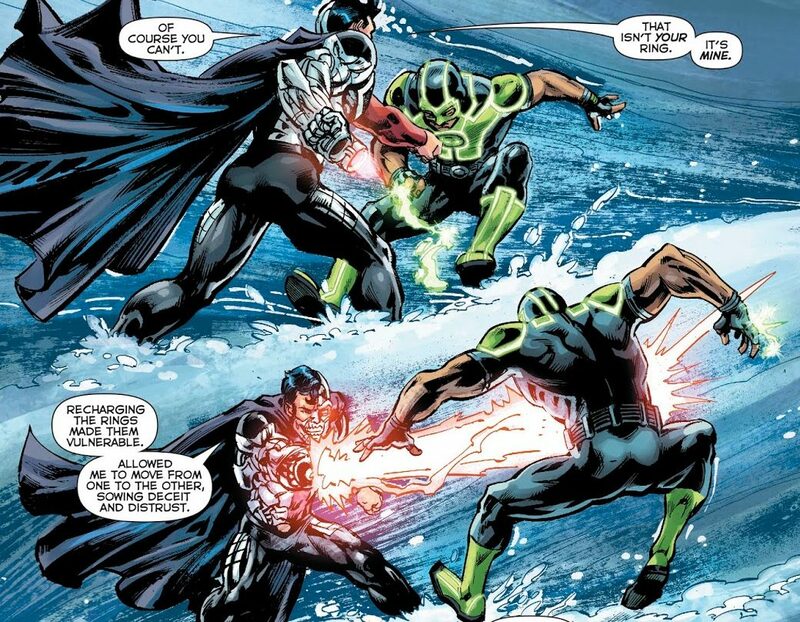 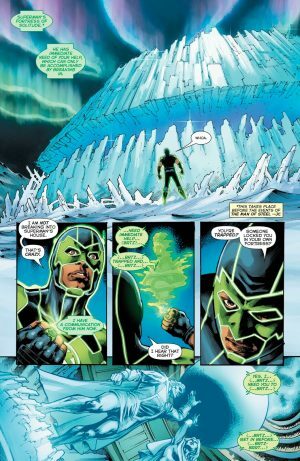 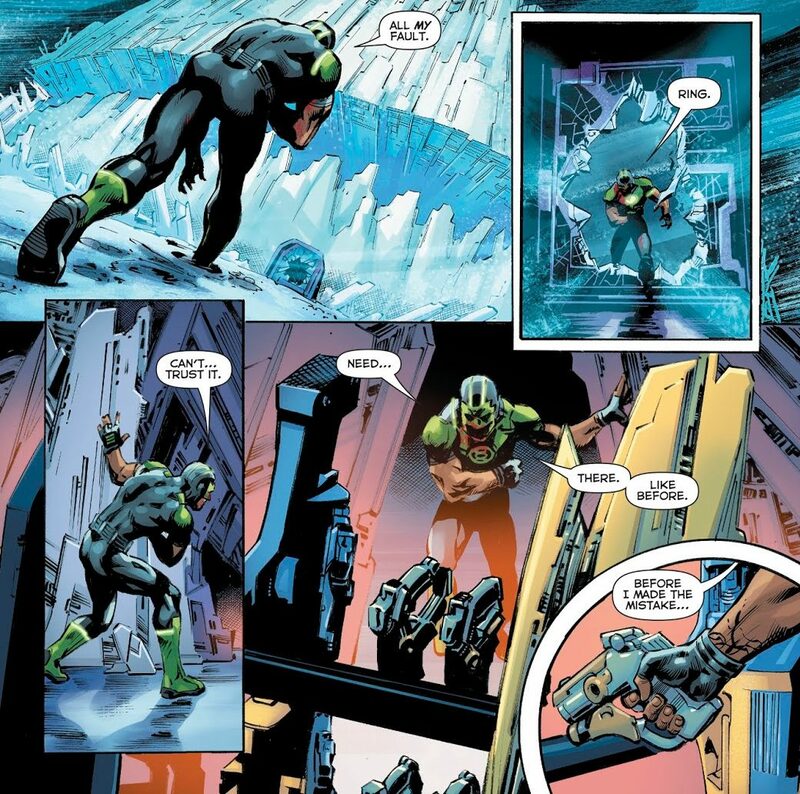 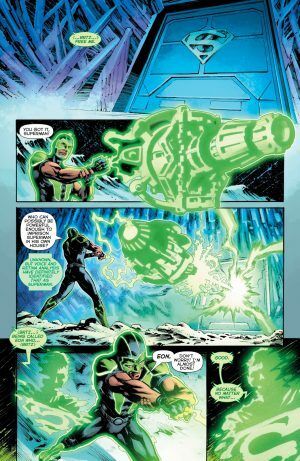 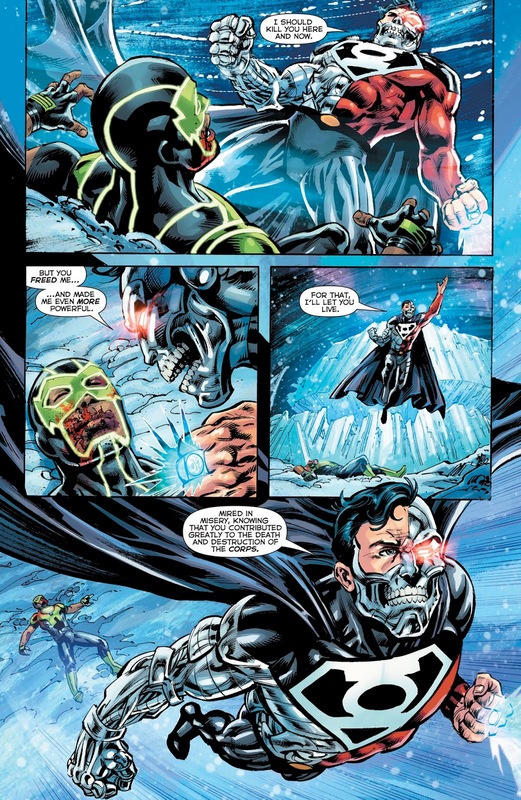 Simon Baz and his ring travel to Superman’s pre-Man of Steel mini-series Fortress of Solitude. 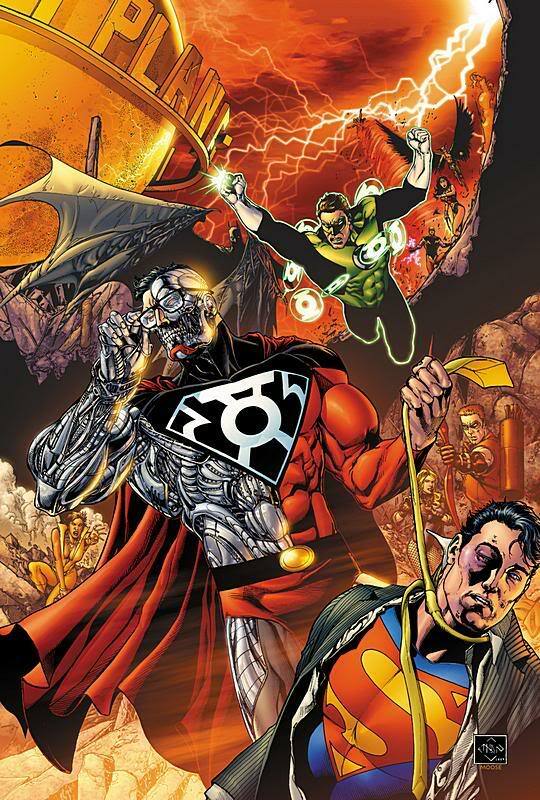 …they’re actually being duped by Hank Henshaw the Cyborg Superman! 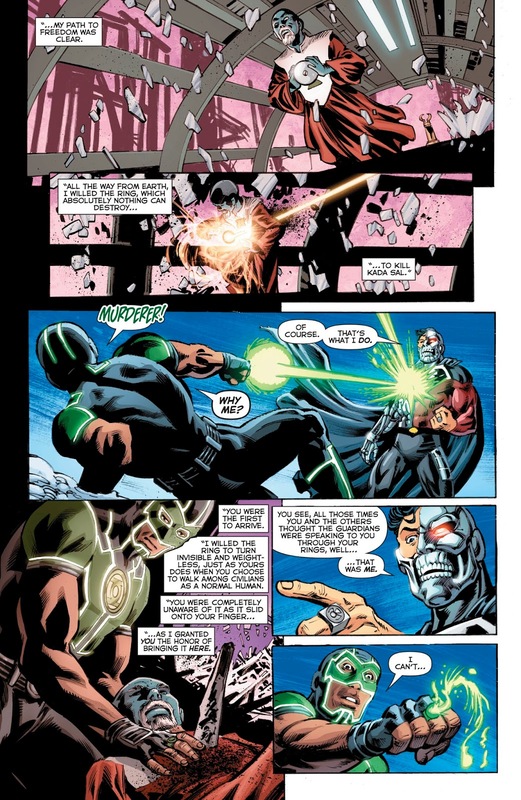 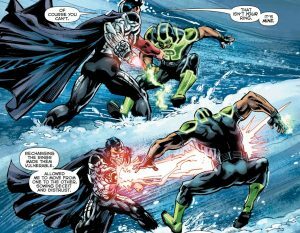 …he has bigger concerns as he’s in the crosshairs of teh Cyborg Superman – Hank Henshaw – who Simon Baz freed thinking he was actually Superman. 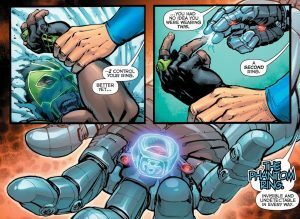 Simon and his ring were duped by Cyborg Superman and the Phantom Ring! 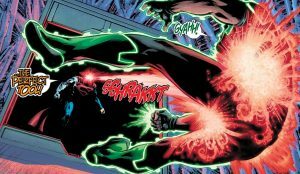 And, Cyborg Superman is even more powerful as the new Phantom Lantern! 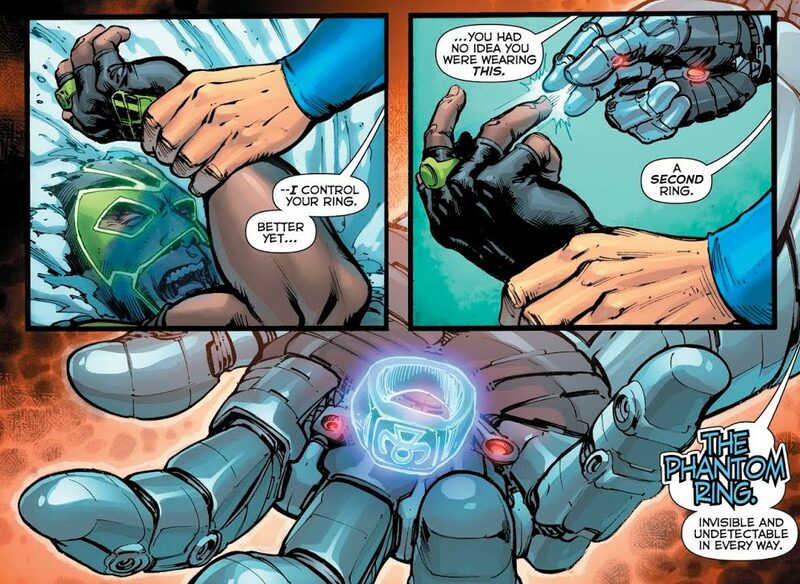 …not realizing that Cyborg Superman controls all the Green Lantern rings! 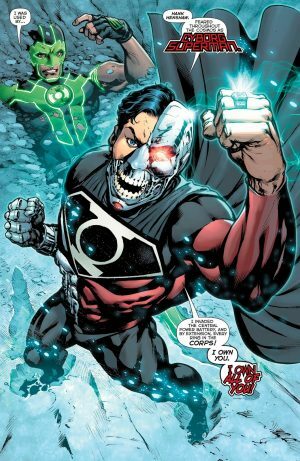 His power only got stronger with each recharge and the voice each Green Lantern heard from their rings was Cyborg Superman’s! Cyborg Superman wants to kill Simon Baz, but won’t because he freed him, made him stronger and Cyborg Superman wasnts Simon to suffer. Green Lanterns #55 is out this week, hitting stands on September 19, 2018. 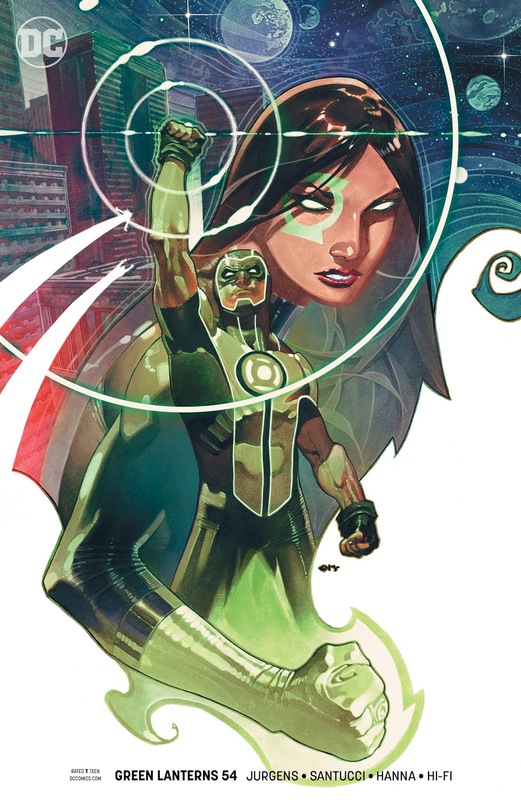 …and then the storline and series finale in Green Lanterns #57 that hits stands on October 17, 2018. Will the Cyborg Superman have the last laugh?